Much is being made of Bruce Beresford’s latest film, Mao’s Last Dancer. It has been released amidst a flurry of discussion about the nature of Australian film, and because it doesn’t deal with a particularly Australian story, it seems to break away from the stereotypical Australian film. Unfortunately, I think this will be the most memorable feature of the film. 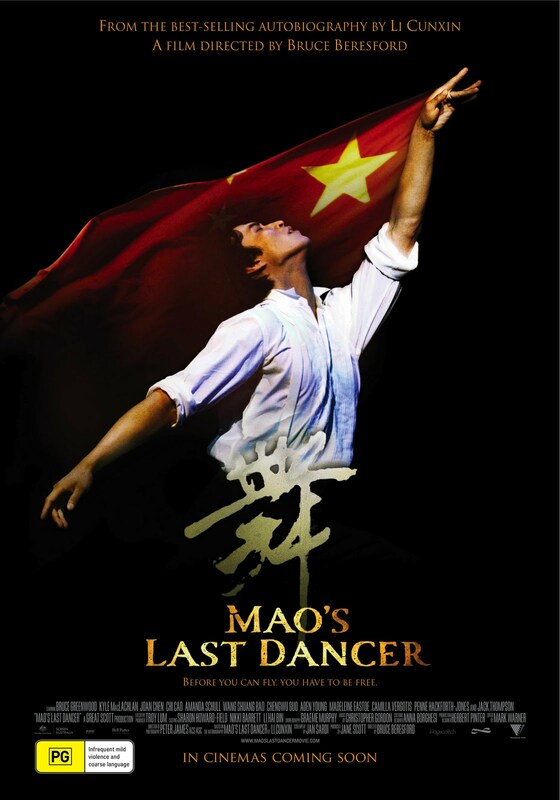 Mao’s Last Dancer is the true story, based on the autobiography of the same title, of Li Cunxin, a ballet dancer plucked from obscurity in a small Chinese village to study ballet in Beijing, who went on to defect from the People’s Republic and achieve stardom in the United States. It is an inspiring story, but for my money, not a particularly memorable one. As we expect from Bruce Beresford, the cinematography is superb, the performances convincing, even from some iconic Australian actors playing Americans. But I think that the only thing particularly noteworthy about the film is its subject matter. This is an Australian film that has next to nothing to do with Australia, and while I would be happy to see more films like this, I fear that the more endearing aspects of Mao’s Last Dancer are overshadowed by this fact. A good film, with a rather dull plot but spectacular performances, and one that offers excellent insight into a culture we tend to stereotype rather than engage with. Watch it when you’re not at risk of falling asleep. I have just handed over the reins of my current project, Take Their Life, to the stage manager, Joyce Gore. I thought I was scared of directing anything of Shakespeare’s before, but now I’m even more scared because I no longer have any control over what happens! I have learned an awful lot from the experience of directing a sacred cow. Having only directed new, or relatively new, works before, I’ve never had to deal with strongly-established and conflicting interpretations of character before. The principles are the same: you look for various interpretations and pick the one that best suits your needs, but when there is such a wide range of varying interpretations, and when some of those interpretations are so firmly entrenched from centuries of analysis, it can be a tough call to pick the one that best suits our purposes. All directors say it, but it really has been a pleasure to work with such a talented cast. They’ve amazed me at times with their capacity to take an idea I’ve had about how a character should act or respond, and incorporate that into a holistic expression of a character, which essentially is nothing more than a concept. I have found it quite humbling to watch those characters emerge from vague and shadowy ideas in my head into characters who stand and walk about and interact as if they’re real people. So next stop is opening night, when we turn Shakespeare’s sacred cow into a profane one. I hope people enjoy it, but really, the best part of the experience of profaning a sacred cow is over, and after nine months in development, I am both breathing a sigh of relief, and beginning to fret about letting it go.